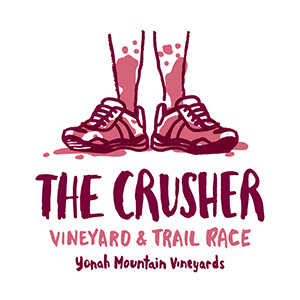 The backdrop of this 6K/12K Vineyard and Trail Race is Yonah Mountain Vineyards’ 200 acre estate. 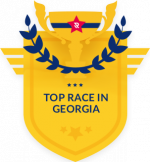 Run (or walk) through the vines and on our multiple miles of wooded trails in this one of a kind trail race. Giveaways and free “The Crusher” T-Shirt to be given on the race day. Runners of legal drinking age are welcome to a free glass of wine after the race. There will be beautiful hand made clay medallions for all runners and prizes for 1st place runners in all age categories. Special vendor and sponsor exhibits will be on display in Event Center. All proceeds from The Crusher Vineyards & Trail Race benefit Community Helping Hands Clinic located in Cleveland, Georgia. This non-profit health organization is a 501(c)(3) corporation dedicated to the health and well-being of families within the many northeast Georgia communities, regardless of income or insurance status. Check out the trails in this video! This multiple surface course places you on concrete, pavement, grass fields, dirt/gravel roads, and wooded trails. Use of long spiked shoes is not recommended. Please be aware trails can become muddy, especially in the wooded areas. Check-In begins at 6:00am on race day inside our Event Center. Please note, you will receive your packet and free t-shirt on the day of the race during the check-in process. For friends and family members not participating in the 6K/12K, you are invited to enjoy the Yonah Mountain Vineyards campus. Food for purchase options will be available in addition to a fully open Winery Tasting Room. Following the race, we invite all racers to stay and enjoy a glass of wine with your competitors. Parking is free on our campus, however because of the high volume of cars we will be directing cars to our event parking lot. This is a short distance from the check-in so please arrive early.